Good news for Candidates who are looking for Latest Govt Jobs Notification. Indian Navy has issued notification for employment of sailors under sports quota entry. All the male candidates who are unmarried and have participated in athletics, boxing, gymnastics means who have good physiques may apply the Indian Navy Sailors Recruitment under Sports Quota 2018. The application invites you to the Petty officer(PO), Senior Secondary Recruits(SSR), Matric Recruits(MR), Non-Matric Recruits(NMR). Government employment news recruitment 2017 openings across India. Eligible Candidates can check latest Govt jobs in Employment News Updates of Notification. Indian Navy has released new vacancy notification for MR 01/2018 Batch titled as Indian Navy Sailor Recruitment. The organization wants to hire young and talented candidates to fill the vacant posts of Sailors. Those candidates, who want to enhance Indian navy admit card their career through Indian Navy, must apply for this job opportunity by Indian navy jobs after 12th submitting their online applications through the official website of the organization. 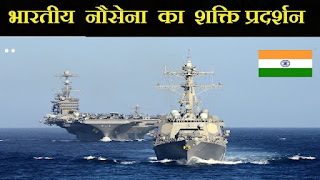 Candidates can scroll down this page to know more about Indian Navy Sailor Recruitment 2018. Eligible and Interested can apply for this Job on its official websites. Educational Qualifications. 10+2 qualified in any stream or equivalent examination. Sports Proficiency. Team Games: Should have participated at International /National/State level at junior /senior level or represented a University in the Inter University tournament. Individual Events. Should have attained a minimum of 6th position in Nationals (seniors) or 3rd position in National (juniors) or 3rd position in the Inter University meets. Educational Qualifications. 10+2 qualified in any stream or equivalent examination. Sports Proficiency. Should have participated at International/National/State level or represented a University in the Inter University tournament. Educational Qualifications. 10th /equivalent qualified. Sports Proficiency. Should have participated in International/National/State level tournament. Age: 17 to 21 years as on date of commencement of course. Candidates should have been born between 01 Oct 1996 to 30 Sep 2000 (Both dates inclusive). During the initial training period, a stipend of Rs. 14,600/- per month will be admissible. On successful completion of initial training, they will be placed in Level 3 of the Defence Pay Matrix (₹ 21,700- ₹43,100). In addition, they will be paid MSP @ ₹ 5200/- per month plus DA (as applicable). Complete the Indian Navy Application Form with the essential data.